Shopping in chennai is fun. Shopping happens in all ranges, from road side shops in Pondy Bazaar, Pantheon road to highly sophisticated and state of art malls like Spencer Plaza, Ampa Sky walk and Citi Center. 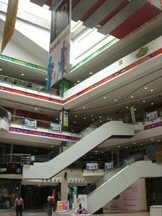 Chennai is a Shopper's delight. There are a lot of places and shops worth visiting. One thing to be kept in mind is to try to bargain for prices at almost all places. New plazas are springing up. Readymade clothing including brands, art and crafts, contemporary and traditional artwork, antiques, jewellery etc are easily available in the city. Traditional items like Pattamara Mats and the leaf and palmyra-fiber handicrafts from Tirunellveli, bronze and brass castings and traditional jewelry from Kumbakonam, Metal works from Tanjavur, stone carvings from Mamallapuram, Silks from Kanchipuram are all available in Chennai. For conventional items and handicrafts, Government Emporiums offer wide variety of choice at fixed rate. Victoria Technical Institute at Anna Salaai offers handicrafts from all over the country. Central Cottage Industries Emporium in Temple Towers Anna Salaai again offers good stuff. Large air-conditioned complexes go to Spencer Plaza Anna Salai, Shopper's Stop Harrington Rd, Globus or GeeGee Emerald Plaza MG Road all have range of shops selling famous brands of clothing, books, music, children toys and accessories etc. 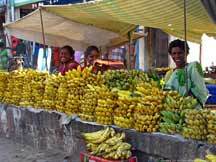 There are many shops in Nungambakkam selling a variety of goods and a stroll along these places is quite likely to catch your eyes. For books, CDs, cards and other novelties, visit Landmark at Nungambakkam or Fountainhead at Mylapore. The most popular bookshops are Higginbothams, BookPoint (Anna Salai) and The Bookshop at Spencer Plaza. The Giggles Bookshop at Taj Connemara hotel is also well stocked. Second hand booksellers set up shop along Anna Salai in the afternoon. You can find decent English language books with little patience.